Many computer users like to work with keyboards. It increases their speed and makes them less dependent on mouse clicks. There are functions that are common to all the products of Microsoft products such as cut, copy and paste and the shortcuts are the same for them in all Microsoft Office programs. In this tutorial, we will teach you keyboard shortcuts in Access that you can use to perform various actions without using your mouse. 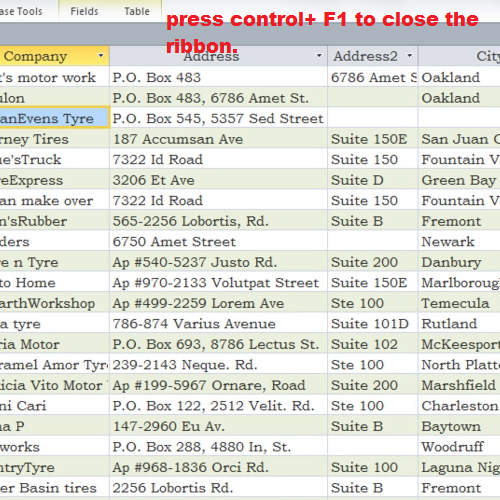 To close the ribbon, press “control+ f1”; press it again to re-open the ribbon. The opening and closing of the ribbon provides you with more working space. 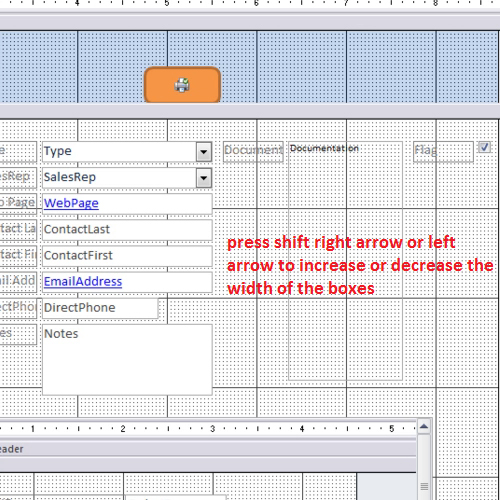 To move from one field to another, press the “tab” key and to move back to a field, press “shift + tab”. Using the tab key is a fast way to move from one field to another and this keyboard shortcut comes in handy from time to time. 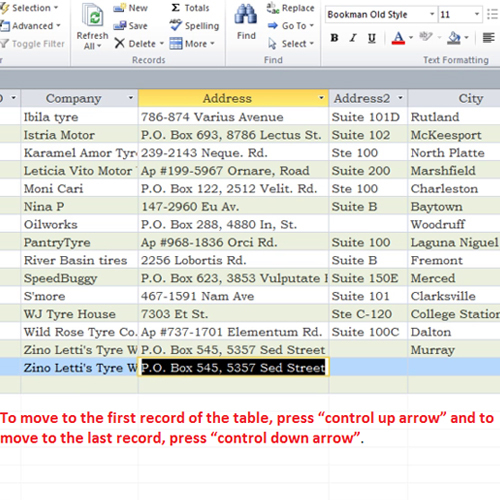 To move to the first record of the table, press “control + up arrow” and to move to the last record, press “control + down arrow”. If you have many records in your table, it would take a lot of time to scroll down to the last cell or scroll up to the first record. By using these shortcuts, you will move to the first and last record in a blink of an eye. Now, we will use shortcuts in forms. Right click and open the Customers Order Form in the design view. 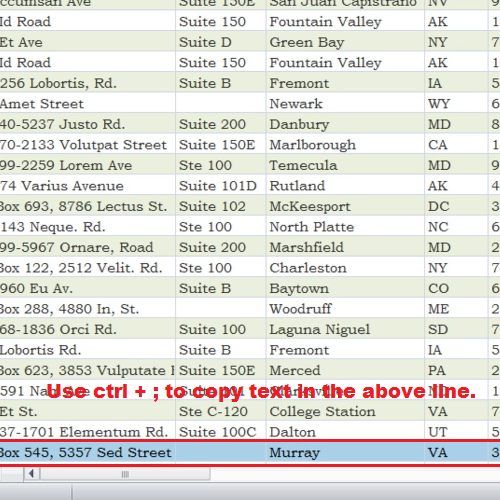 Click on the title and hold the shift key down to select other fields as well. Normally you drag them to increase or decrease their sizes; with the shift key pressed, press the right arrow or the left arrow to increase or decrease the size of the boxes. 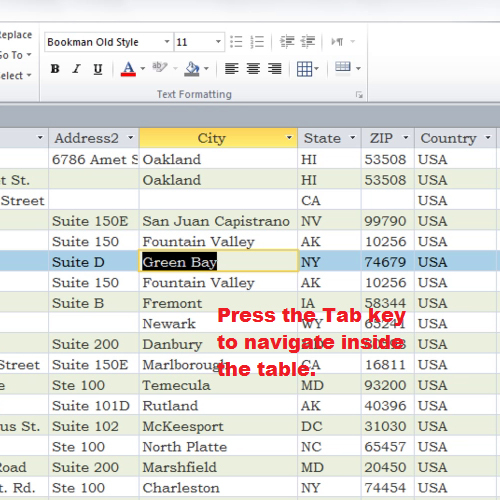 Use the F4 key to toggle on and off the property sheet. 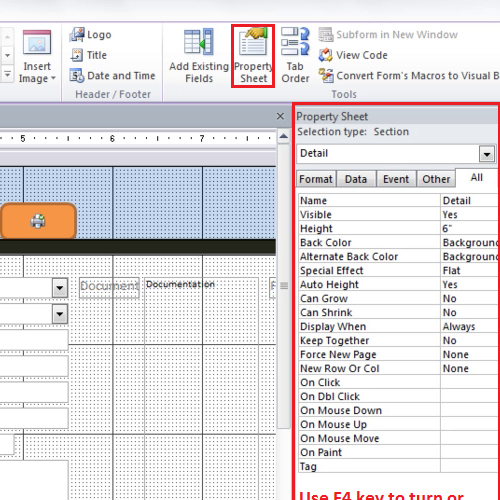 The property sheet contains options that you can use make your form look the way you want it to appear. To find more keyboard shortcuts, click on the small blue question mark sign. 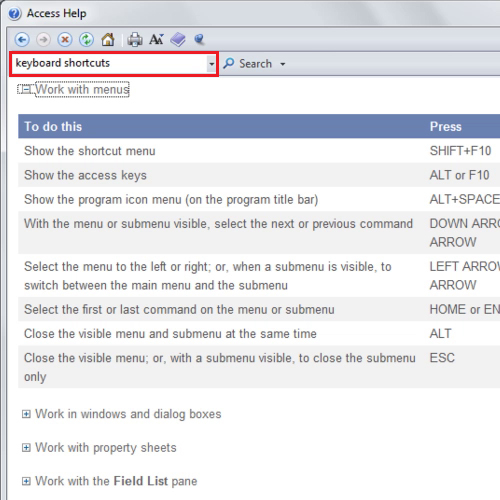 In the search bar, type keyboard shortcuts and select keyboard shortcuts for access. The list will show you all the keyboard shortcuts in Access. You can use them to perform your tasks using only your keyboard. You can copy the text above as it is by using the “Ctrl +;” key. This keyboard shortcut saves time as you don’t have to type the data again and again.